Rejected by his tribe and hunted by the kin of the man he killed, Ukhayyad and his thoroughbred camel flee across the desolate Tuareg deserts of the Sahara. Between bloody wars against the Italians in the north and famine raging in the south, Ukhayyad rides for the remote rock caves of Jebel Hasawna. There, he says farewell to the mount who has been his companion through thirst, disease, lust, and loneliness. Alone in the desert, haunted by the prophetic cave paintings of ancient hunting scenes and the cries of jinn in the night, Ukhayyad awaits the arrival of his pursuers and their insatiable hunger for blood and gold. 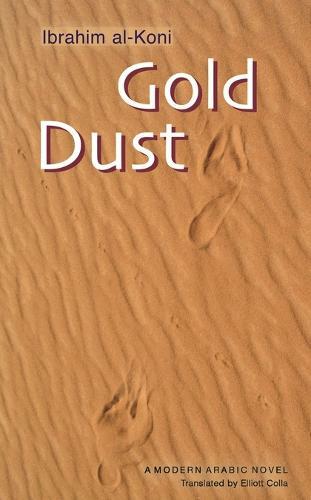 Gold Dust is a classic story of the brotherhood between man and beast, the thread of companionship that is all the difference between life and death in the desert. It is a story of the fight to endure in a world of limitless and waterless wastes, and a parable of the struggle to survive in the most dangerous landscape of all: human society.